The Pearl Public Library Hits It Out Of The Park! The 2016 Summer Reading Program, a bonanza of great entertainment and super prizes for children, teens and adults, aims to hit a grand slam this summer at the Pearl Public Library! 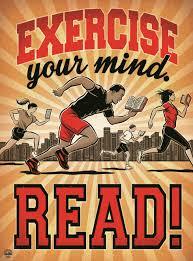 Registration for Summer Reading, which runs from June 6 through July 16, is underway! No matter what age you are, come on in and get your registration packet now! 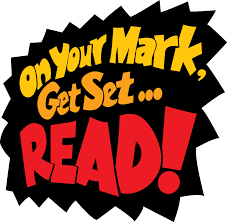 With sports, health and fitness being the focus of summer programming, the children’s theme is On Your Mark, Get Set – Read, the teens’ theme is Get In The Game – Read and the adults’ theme is Exercise Your Mind – Read. Some SRP highlights include what is sure to be a crowd draw, the chance to meet a Mississippi Braves baseball player on Sat., June 25 from 10:30 a.m. to 12:30 p.m. A Braves player will read stories during this children’s program and sign autographs. Don’t forget to bring your camera! Also on Sat., June 25 from 1 p.m. to 3 p.m. is a chance to show off your healthy baking skills. This adult program – Subversive Food Substitution Bake-off - calls for heavy on healthy substitutes like yogurt, applesauce and Stevia and easy on the fat content. Sign up for the bake-off at the library starting May 31-June 18. Bring your desserts in for judging on July 25th. There will be first, second and third place prizes! If that’s not enough fun, how about getting your body moving to Zumba, a fitness program originally derived from Latin American dance movements and music? This exciting program is for children K-6 on Tues., June 21 at 6 p.m. with Kathy King, a local Zumba instructor. Zumba for teens will be Mon., June 6 at 6 p.m. There will be a dance party for K-6 on Tues., July 5 at 6 p.m.
For adults there’s yoga on Thurs. June 23 at 5 p.m. Yoga, a physical discipline that originated as a spiritual discipline in India, is widely practiced all over the country for health and relaxation. Although it involves stretching, yoga creates balance in the body through developing strength and flexibility. It involves breath control and holding body poses. Bring a yoga mat or large towel and wear clothing that allows easy movement. The program is presented by Barbara Rogers, a local yoga instructor registered with the Yoga Alliance. More SRP events include Magician Dorian LaChance on Tuesday, June 7 at 6 p.m. and the Central Mississippi Regional Library System (CMRLS) Puppet Show on Tuesday, June 14 at 5:30 p.m. On Thursday, July 7, it’s Book Madness Book Club, a teen program. This March-Madness-themed program will have the teens going one-on-one to defend their book title. Friday, June 10 at 1 p.m. is Adult Friday Flicks. Big screen, popcorn and relaxation are on tap! The Chapter 1 Book Club selection for Tues., June 14 at 6 p.m. is Luckiest Man: The Life and Death of Lou Gehrig by Johnathan Eig. The July book club selection is Indestructible: The Unforgettable Story of a Marine Hero at the Battle of Iwo Jima by Jack Lucas on Tues. July 12 at 6 p.m. No reservations or membership required. There will be light refreshments and door prizes. The adult Simply Crafts program lets you work your mind and creativity by coloring a mandala or zentangle! Yes, adult coloring is a real thing now! That’s Thursday, June 16 at 6 p.m. There’s also From Doodles to Designs on Thursday, June 30 at 4 p.m. This adult drawing group lets artists of all ability levels come and talk, draw and share their creativity. “The Summer Reading Program season is a big celebration of community. There’s something for all age groups. We encourage everyone to take the opportunity to visit the Pearl Library and take advantage of all the library has to offer, especially during this special programming time,” said Bootman. Don't miss out! We'll see you there!